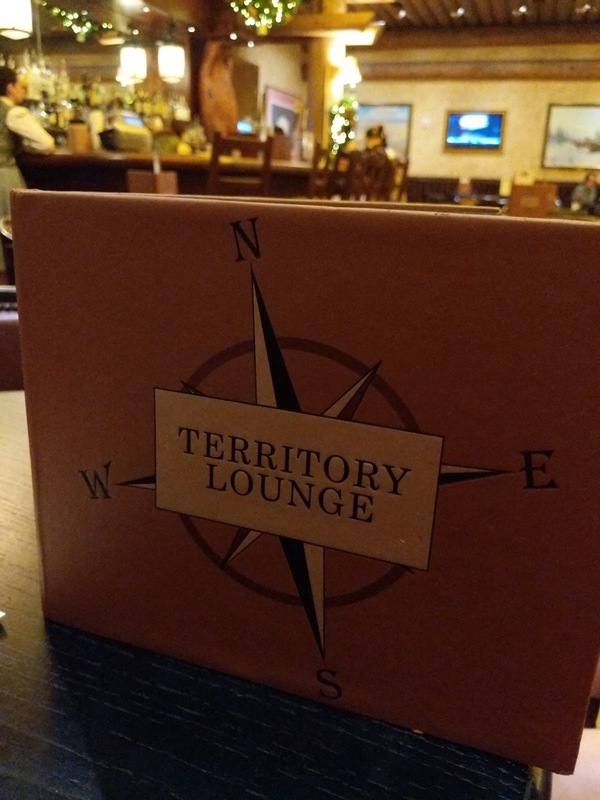 Territory Lounge at Wilderness Lodge. 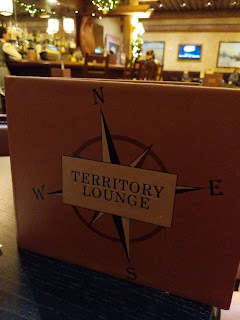 Since the new character meal, Storybook Dining, has moved into Artist Point, some of the old favorites and a few new items are now of the menu at Territory Lounge next door. 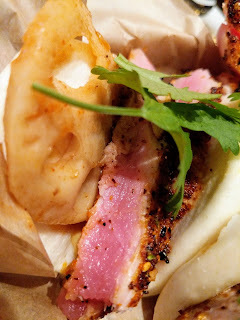 Highly recommend the new tuna bao! It's got a nice bite, is loaded with tuna, and the bao are perfect little pillows. I had 2 orders for my dinner and was stuffed! 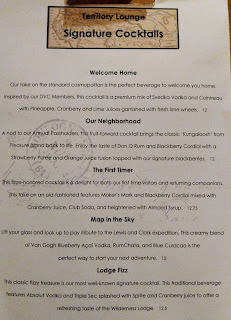 The Our Neighborhood cocktail description says it's the KUNGALOOSH from Adventurers club in the old Pleasure Island. 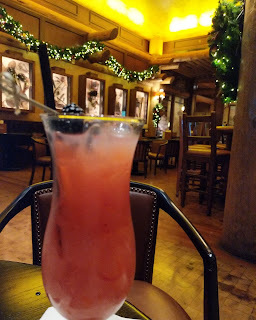 I remember feeling more tipsy back then, but I think Disney is more strict with the pours now. Still, it's fruity and delicious. A definite win. Way too easy to drink. I also had a dessert of some Godiva chocolate liquor. 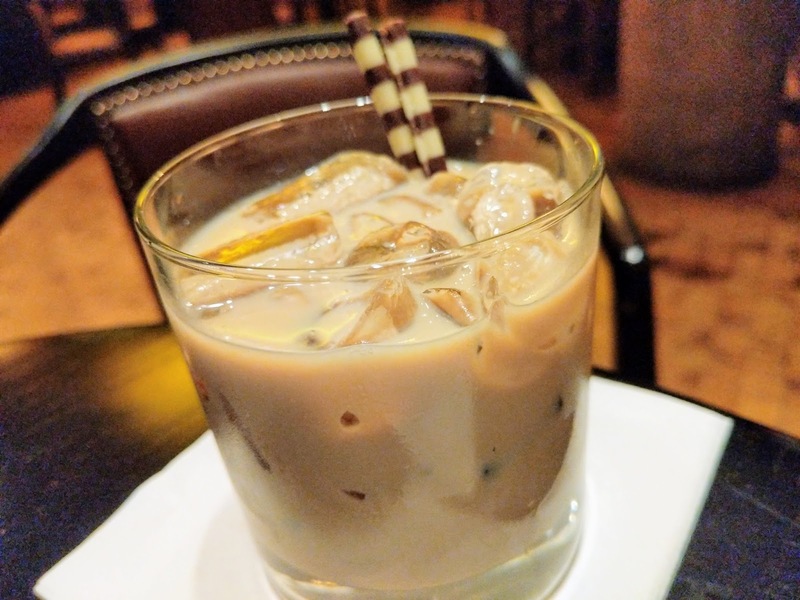 A full bar and the standard resort cocktail menu are available in addition to the signature drinks. Check out the full lounge menu. Burnt end nachos, pretzel bread and fondue, the classic mushroom soup Artist Point was known for, and many other delicious choices are so tempting. The fondue is enough for a group to share. 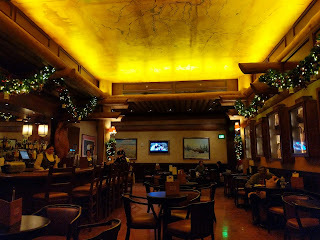 The lounge is gorgeous and comfortable with a warm log cabin cozy feel. It's a wonderful addition to any Disney vacation. Wilderness Lodge is a quick boat ride from Magic Kingdom. The lounge opens at 3:30 PM. 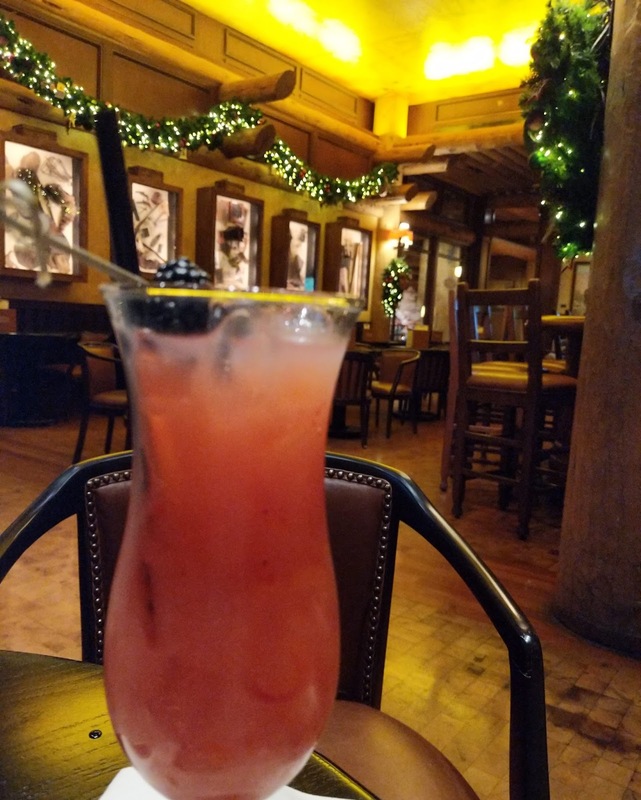 If you stop in, tell Viviana (manager) and Chef Damon that the princess sent you. 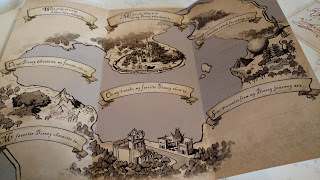 Check out more Disney #princessing Adventures on my page The Princess Papers and Jeanie Gallo on Facebook! A very important message that I would like to convey to all of you is my deepest heartfelt thank you for all the support over the years for my blog and my "princessing" presence in social media. Every time one of you finds me in a Theme Park or Resort around Disney and takes the time to say hello, it melts my heart. I LOVE IT! Hugs are always welcome too! Many of you who follow me on social media, know of my journey over the past few years (post cancer) to lose weight and get out of the wheelchair. Although I don't typically write about my personal life here on The Princess Papers, I felt this was a good time to give an update about the new changes that are happening that will also modify the content and activity of the blog. FIND ME PRINCESSING @JeanieGallo on Facebook! HIT THE FOLLOW BUTTON!! Before and Now Photos...There is no "after". This is an ongoing journey. As of today, I've lost over 170 lbs. (additional 30 lb. loss explained later). Many people have asked HOW? The answer is through healthy eating and adding some activity. It's been slow, 3 years actually. 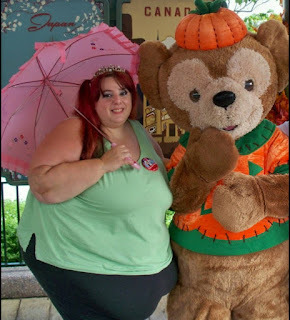 But, I didn't have weightloss surgery or use any fad diets or gimmicks. Eat your fruits and vegetables and minimize the processed junk and eating out. All those things that doctors have been telling you all these years? Yeah, those work. Want to see what I eat each day? Just join my Facebook group. I post pics, a food list, calories, and some general recipes. 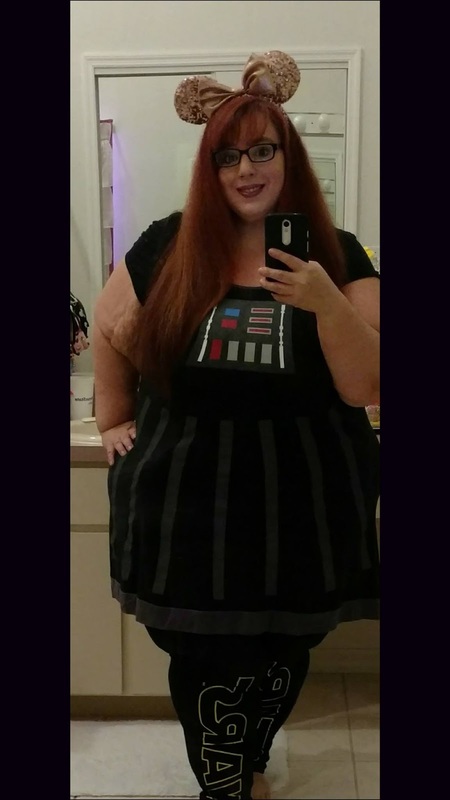 Group: I'm Going To Need A New Wardrobe. You will see that it's not about suffering or punishment. It's about making good choices and treating yourself well because you deserve it! Recently, I did have some cosmetic surgery. The procedure is called a panniculectomy. It's NOT a tummy tuck. A tummy tuck tightens everything up and is done once a weightloss goal is reached. I had the loose skin hanging from my stomach removed. It weighed 30 lbs and has significantly helped my back pain. Although I was able to get myself out of the wheelchair in March of 2017, walking has still been difficult. I'm happy to say that last week, merely 7 weeks post op, I was able to walk 1.22 miles without stopping. 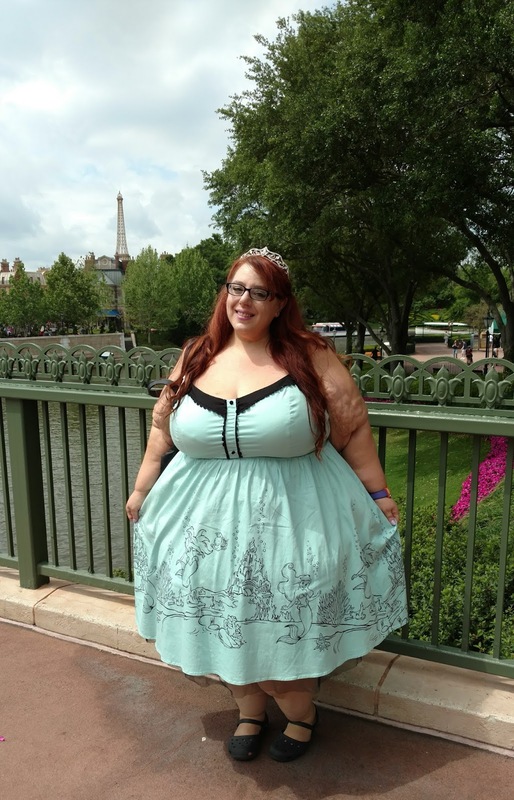 In one month, I will be attempting my first 5k, the Disney Princess 5k walk/run around Epcot. Less than one year from wheelchair to 5k! So, this brings me to what the future holds. 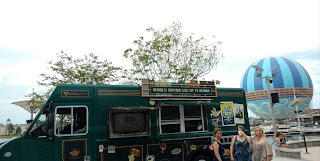 First, as you, my dear readers, may have noticed, the blog food reviews have been very limited. Although I ADORE my amazing Disney chef friends and love their delicious creations, I don't chow down on big meals anymore. I do enjoy a treat now and then. I also indulge in a fine meal on occasion, rare occasion. 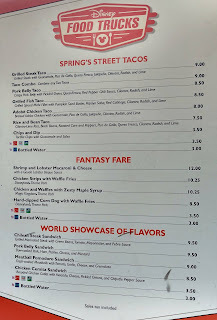 Disney food is far too expensive to take just one bite and throw the rest away! I will, however, be continuing to add some event content once I'm more mobile. Perhaps a treat or two as well. For now, the best place to find me is on Facebook @JeanieGallo. I'm relatively active there. So send a friend request, hit the follow button, and you will be the first to see my daily princessing adventures in and out of the Parks! Another BIG project coming in 2018 is my COLLAB PROJECT with the vivacious artist Holly G! Right now, you can head over to our patreon The Sweet Adventures of Denim and Rose CREATOR PAGE to get a behind the scenes peek! There are already photos and EXCLUSIVE first draft stories posted! 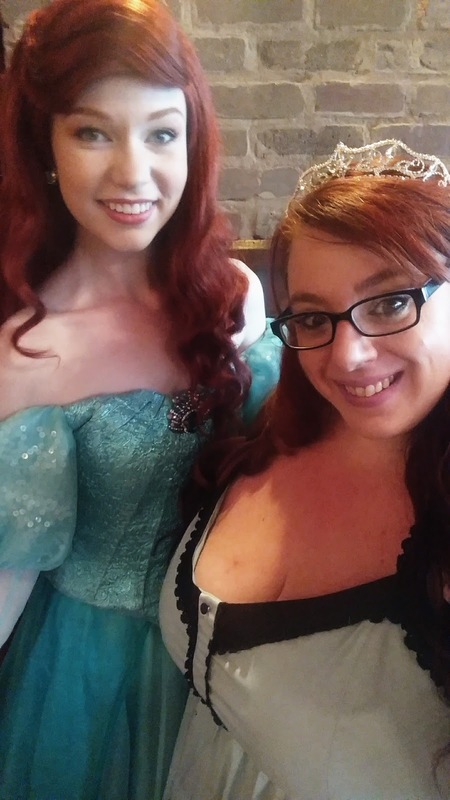 These are our stories about two Disney-loving teenage girls and their adventures at Disney. For those of you who know of all my recent medical and hurricane damage expenses, your prayers have been wonderful. Although I will not accept donations, I would be beyond HAPPY for the support of any of my friends and followers for our art and stories on the patreon page. For the $5 COOKIE LEVEL pledge, you have a month to read all of the draft stories that are posted now! More are on the way! Become a CUPCAKE for $10 and you can have me personally read a story of your choice to you via facetime. Once again, thank you to everyone who has supported my silly princessing. With your love and support, it will continue into the future. Perhaps even a YouTube channel soon?? LAKE BUENA VISTA, Fla. – November 16, 2017 – For the 2017 winter season, the Walt Disney World Swan and Dolphin Resort will debut a new Christmas tree as the centerpiece of the resort’s holiday display. The tree itself will light up with a variety of colors and patterns and perform to holiday music throughout the holiday season. The new 24-foot tall tree will be prominently on display in the newly renovated Dolphin lobby. The tree joins the other annual holiday festivities and activities that have become guest favorites over the years as, once again, Santa, Mrs. Claus and their favorite elf, Kandy Kane, will be escaping the cold at Santa’s favorite resort. Other returning favorites include Bedtime Elf Tuck-ins and a 2,000 lb. 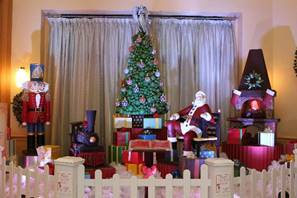 life-size chocolate holiday scene. Guest who make reservations at www.santasfavoriteresort.com can receive holiday season room rates up to 10 percent off at the Epcot Resort Area resort. Santa, Mrs. Claus and Kandy Kane, decked out in their Florida vacation attire, will meet guests in Santa’s customized Tiki Hut on select nights starting Nov. 24. This is a unique holiday photo opportunity, filled with Florida flair that features reindeer, palm trees and flamingos. 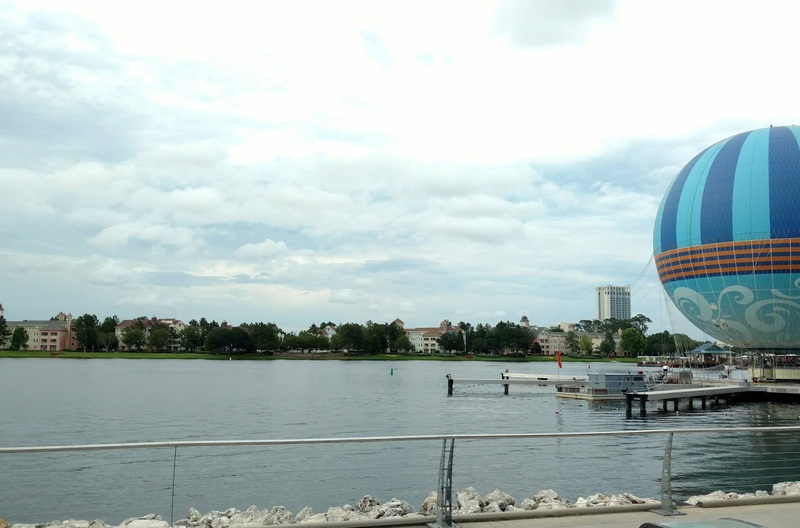 With a new look for the resort following completion of the recent renovation, the Walt Disney World Swan and Dolphin Resort’s holiday tree is getting revamped as well. Throughout December, the lobby will transform into a festive holiday scene featuring a 24-ft tall Christmas tree that’s never been seen before. The tree features cutting-edge light technology which will fill the Dolphin lobby with wintertime cheer. Regularly timed indoor snow falls complete the holiday scene. On select nights, guests can join Mrs. Claus in the Dolphin lobby for the lighting of the Christmas tree starting at 6 p.m. The ceremony is followed by hot holiday beverages and crafts for kids at Santa’s Tiki Hut. This year Santa’s elves return to bring holiday joy to children staying at the Walt Disney World Swan and Dolphin Resort. On select nights starting Dec. 1, elves will deliver milk, cookies, a plush toy and storybook to resort rooms. Elves will also read a bedtime story and tuck children on Santa’s nice list into bed, dressed in full costume. Price varies by date and a service charge of 24 percent is added, in addition to tax. How will Santa deliver presents to each guest room without a chimney? With a magic key! Children can hang a magic key on their door to help Santa find his way on Christmas Eve. Magic keys are available at the concierge desk. A dazzling musical light show transforms the outdoor causeway each evening into a holiday spectacle with dancing illuminated palm trees and favorite holiday tunes. On select nights, guests can catch entertainment by carolers, choirs and musicians in the resort lobbies, on the causeway and in other public areas throughout the resort. For more details about all the holiday excitement, including a full schedule of activities, at the Walt Disney World Swan and Dolphin Resort or to make room reservations, please visit www.santasfavoriteresort.com or call 1-800-227-1500. In the heart of the Walt Disney World Resort, the award-winning Walt Disney World Swan and Dolphin Resort resides amongst the greatest theme parks and attractions in Central Florida. The resort recently completed a $140 million transformation, the largest in its history. 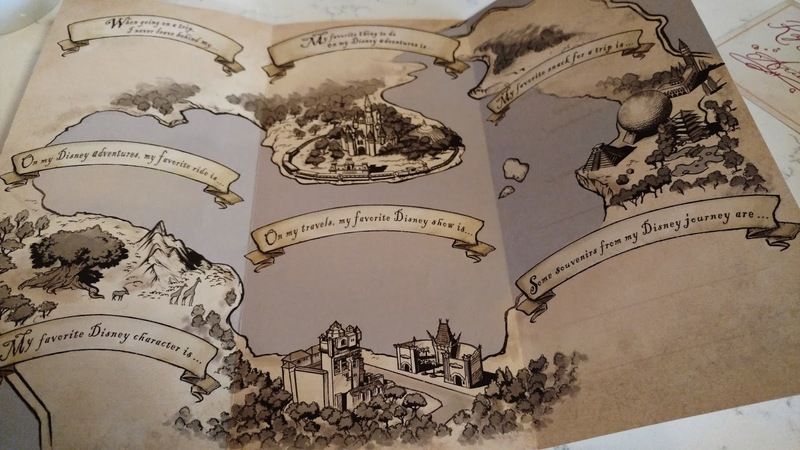 It is located between Epcot and Disney’s Hollywood Studios, and nearby Disney’s Animal Kingdom Theme Park and Magic Kingdom Park. Guests can discover 18 world-class restaurants and lounges, sophisticated guest rooms with Westin Heavenly Beds and the luxurious Mandara Spa. The resort features five pools, two health clubs, tennis, nearby golf, complimentary transportation throughout the Walt Disney World Resort, the extended park hours benefit, where each day, one of the four Walt Disney World Theme Parks is open extra time for guests to enjoy select attractions (Valid Theme Park admission and Resort ID required) and Disney FastPass+ service, where guests can reserve up to 3 select theme park experiences up to 60 days in advance of their visit. 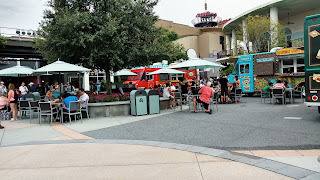 Food Trucks: Delicious Delights at Disney Springs! 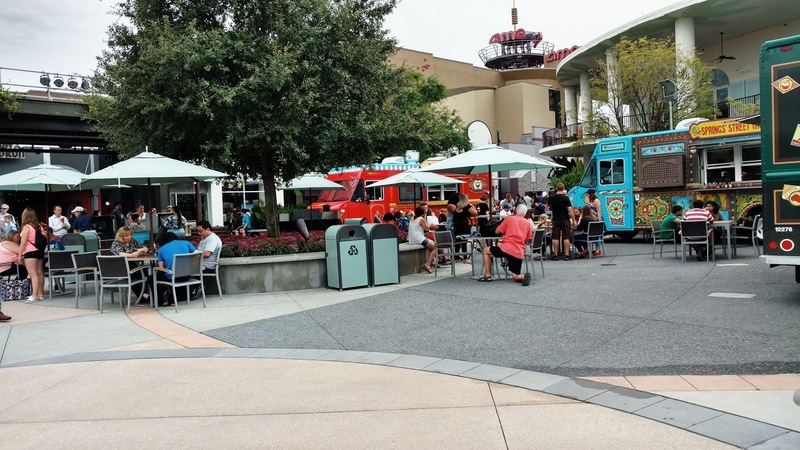 The Food Trucks are located in the heart of Disney Spring's Westside. 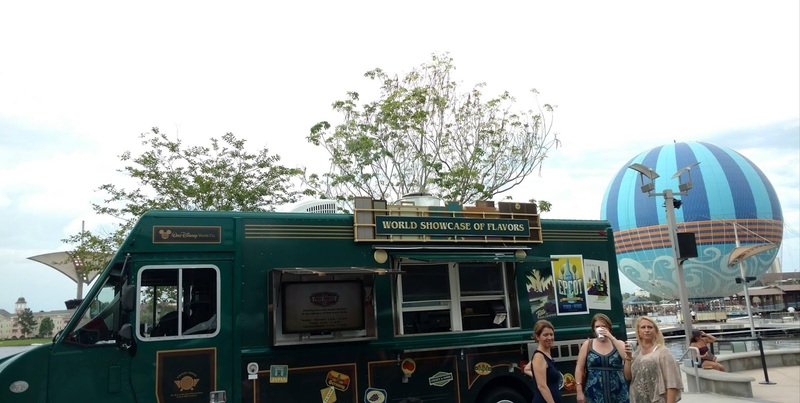 The delicious food and beautiful waterfront view make this the perfect spot to stop during a day of shopping. No reservations are needed and there are plenty of options for the entire family. 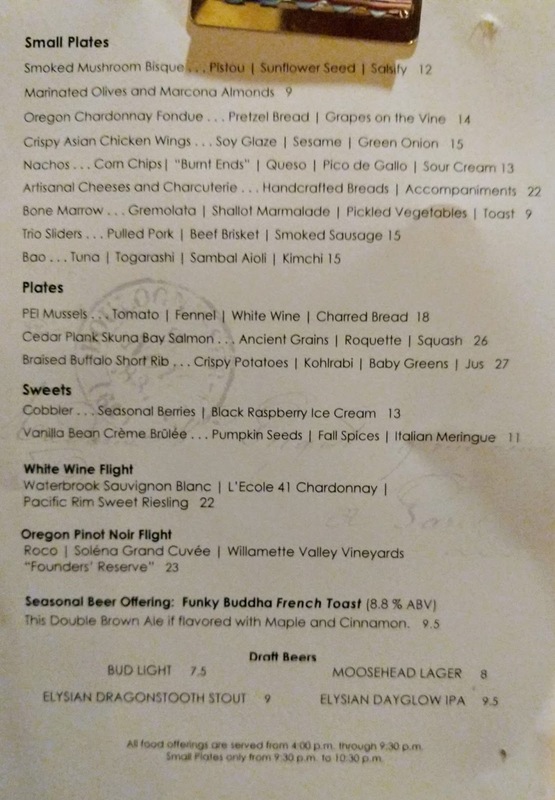 All of the menus have been recently updated. 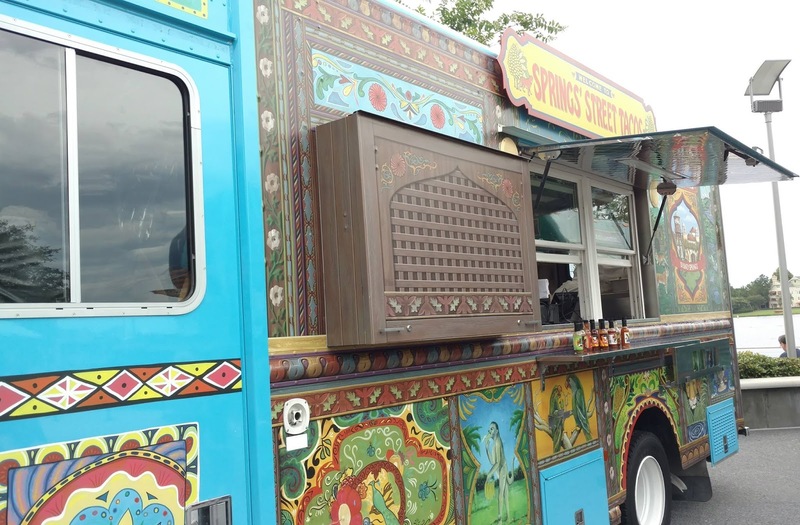 The (formerly) Namaste truck is now Spring's Street Tacos...and that pork belly taco sounds AMAZING! 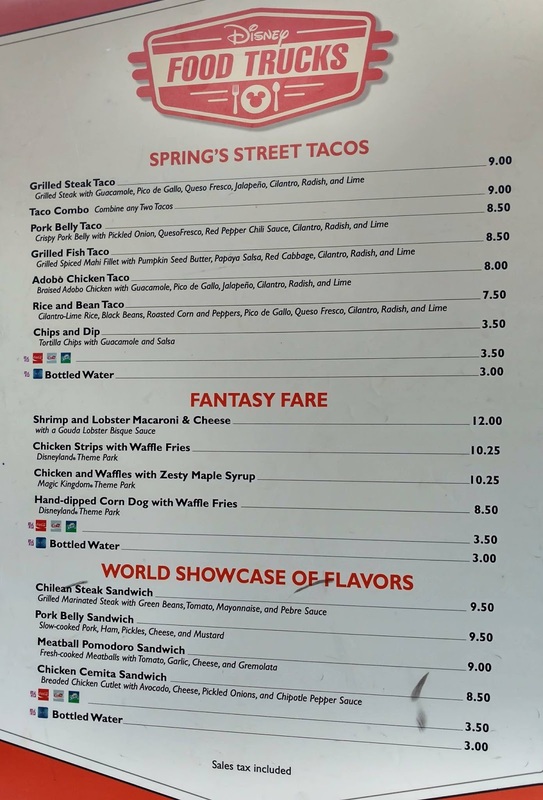 But, you really can't go wrong with the Fantasy Fare classic hand-dipped corn dog, now served with waffle fries!! So many choices! What will you choose?? HAND-DIPPED CORNDOG NOW SERVED WITH WAFFLE FRIES INSTEAD OF CHIPS! Please SUBSCRIBE on the top right for updates of my latest Princessing adventures, fashion, and giveaways! 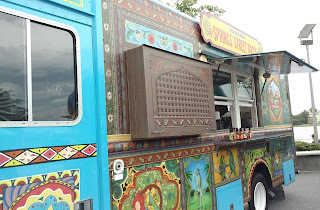 *The Food Trucks and seating area are handicapped accessible. Cast Members are also available for Guests needing assistance. WIN!! Pixar Cars 3 Prize Package! SUBSCRIBE TO GET NOTIFIED OF MORE GIVEAWAYS! 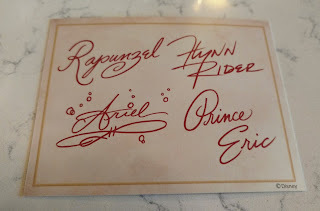 To celebrate the release of the new Cars 3 movie by Pixar, The Princess Papers is giving away some swag from the recent Disney Parks Blog premiere! Cars 3 is a hilarious film that both kids and adults can enjoy. If you've ever felt the pains of aging, prepare to laugh with this one! Also, I highly recommend seeing it in 3D. The visual details are incredible; the quality only Pixar can deliver. Look for the mirror with smudges on it...amazing! There is a scene where a home movie is shown and it looks like a real life movie. Several times during the screening, I had to remind myself that Cars 3 is ANIMATED! It's that well-done. Make sure to get to the theater early. 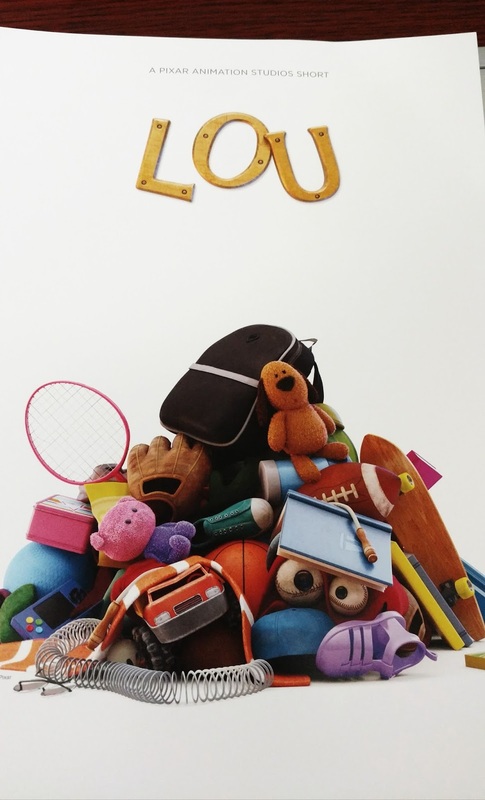 You don't want to miss the new, touching, Pixar short, "LOU." *8x10 print from the Pixar Short, "LOU." *A Cars 3 button with movie release date. 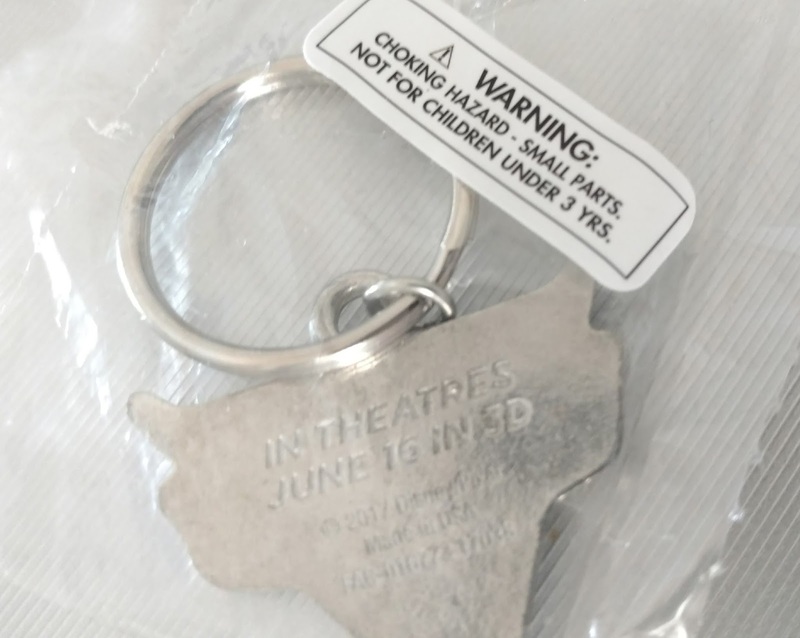 *A Cars 3 keychain with movie release date on the back. 1. SUBSCRIBE!!! Fill in your email in the box on the upper right of this page. You will receive updates when a post or future contest is published. 3. COMMENT BELOW!! Include some form of social media contact info so that I can notify you if you are the winner! WINNER WILL BE ANNOUNCED ON JUNE 16, CARS 3 OPENING DAY! NEW!! 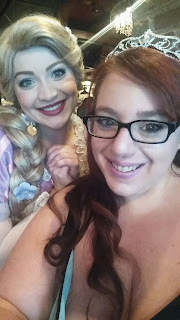 Bon Voyage Adventure Breakfast: Tangled & Little Mermaid! 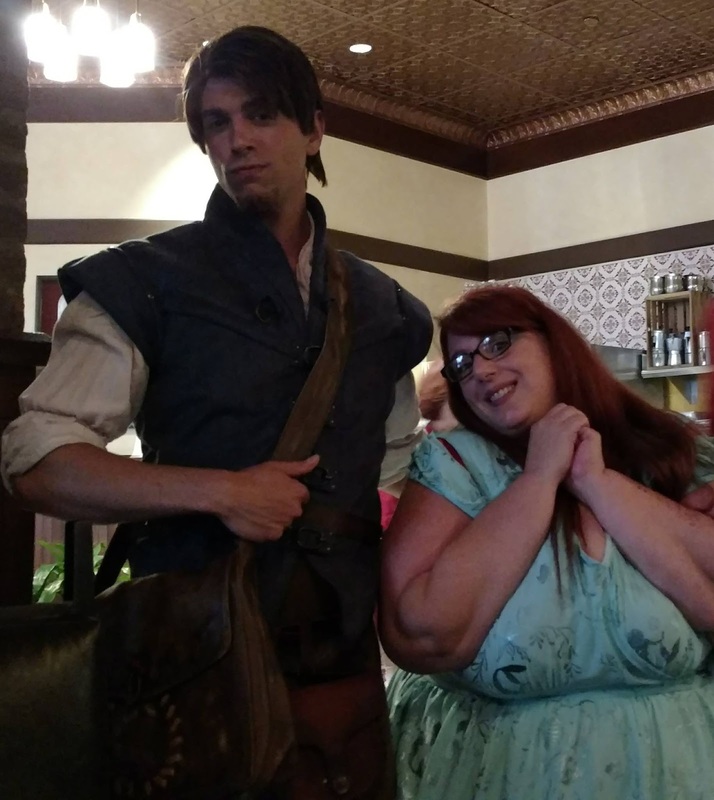 IMPORTANT: IF PHOTOGRAPHING THE CHARACTERS IS YOUR PRIMARY REASON FOR ATTENDING, PLEASE MAKE SURE TO CHECK YOUR PHOTOS BEFORE THE CHARACTERS LEAVE YOUR TABLE! YOU MAY NOT GET A SECOND CHANCE TO INTERACT WITH THEM DURING THIS DINING EXPERIENCE! I attended this character breakfast twice. I had two VERY different experiences. The first time, I saw all of the characters, took photos, and at the end of the meal, a manager personally asked if we had spent time with all of them. The second visit, we saw all of the characters. However, we were sitting in the center of the room with low lighting and some of the pictures were blurred. We requested to take photos again. We were told that the characters are not permitted to return to the tables a second time. A manager asked to see our phones to confirm that our pictures were bad (to me, this was offensive and unacceptable for privacy reasons). 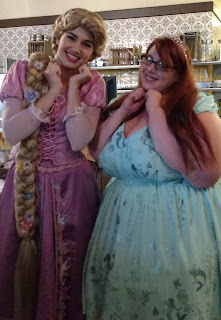 After a lengthy discussion, she took the phone of one person in our group to another area of the restaurant and took pictures of two of the characters for us as "a favor." We were not permitted to take the pictures ourselves or go to the area where she went. 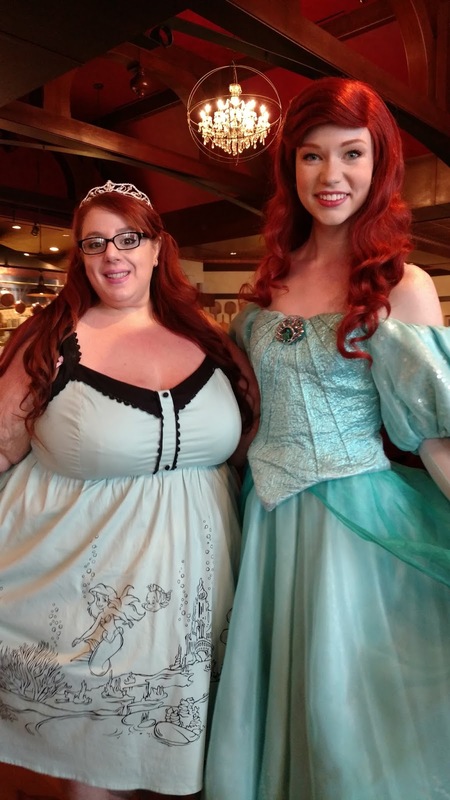 As many of you may know, other Disney character meals allow the characters to continuously circle the restaurant with repeated stops at the same tables. 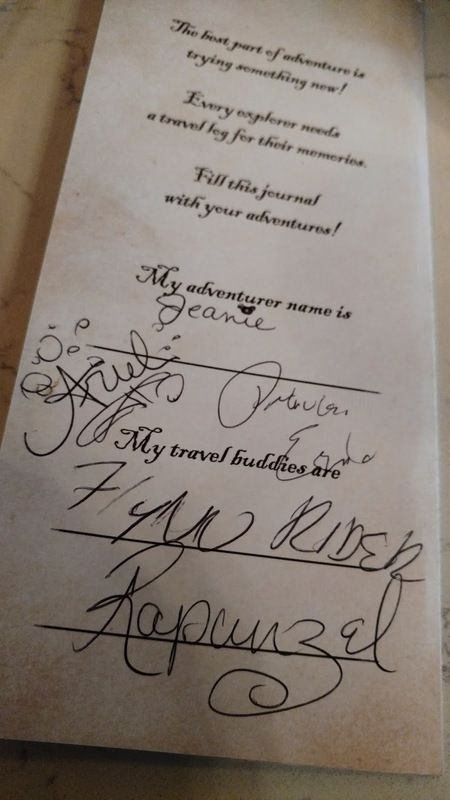 The manager would not confirm the policy of the restaurant, but based on my second experience (only), please be sure to get all of the photos you want before the characters leave your table! 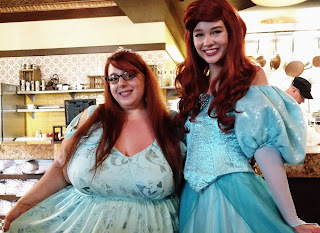 You can hear me discuss this Character Dining Experience in detail (including the photo issue) on the Divas Dish Diz Podcast, episode #77 LINK HERE. 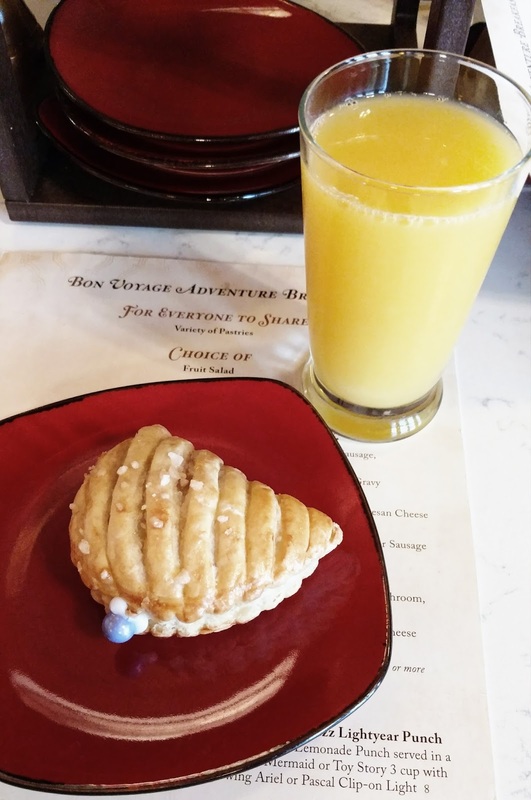 Located at Disney's Boardwalk Resort, Trattoria al Forno now hosts a new character breakfast adventure. During this multi-course breakfast, you will meet Rapunzel and Flynn Rider from the movie Tangled as well as Ariel and Prince Eric from The Little Mermaid. 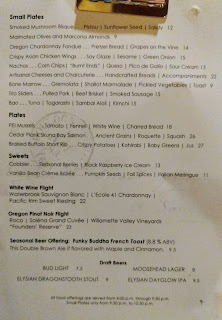 3-Course Prix Fix Menu including non-alcoholic beverages ($34.99 Adult/$15.00 Child). 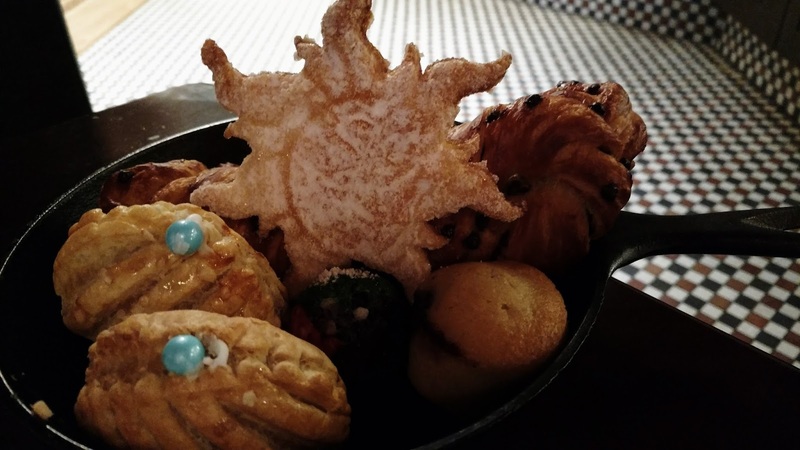 To Share- Frying Pan of Themed Pastries and Beverage of Choice. 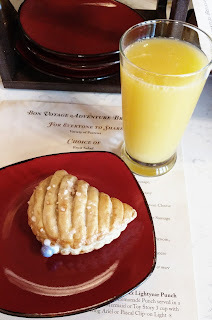 The pastries are fresh and delicious, but the theming is what sets them apart. Pretty, jam-filled seashells with a single pearl turnovers, chocolate croissant braids, light and flaky sun cookies, and mini muffins are all served in the notorious Tangled frying pan to start this meal off right! 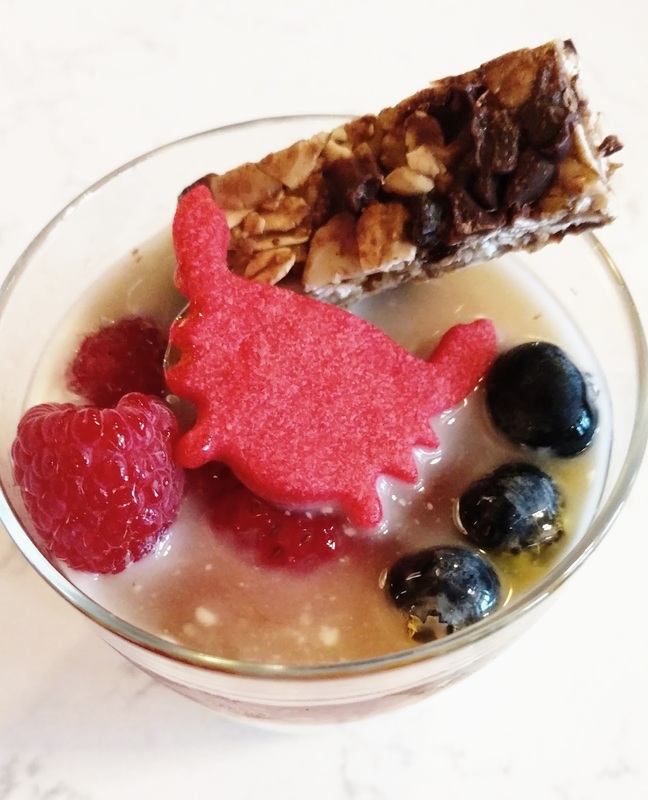 Starter- Choice of Yogurt with Berries, Honey, Sebastian Cookie, and Granola Bar or Mixed Fruit with Tiara Cookie and Sword Toothpick. Both options are tasty. 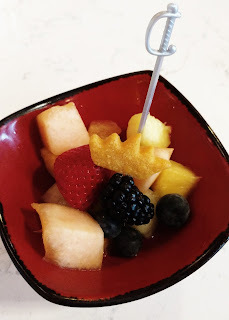 You really can't go wrong with fresh fruit at breakfast in my opinion. However, I found that the layer of honey on the yogurt was overly sweet for my tastes. On my second visit, I requested "no honey" and it was perfect. The mini granola bars are soft, chewy, and YUMMY! 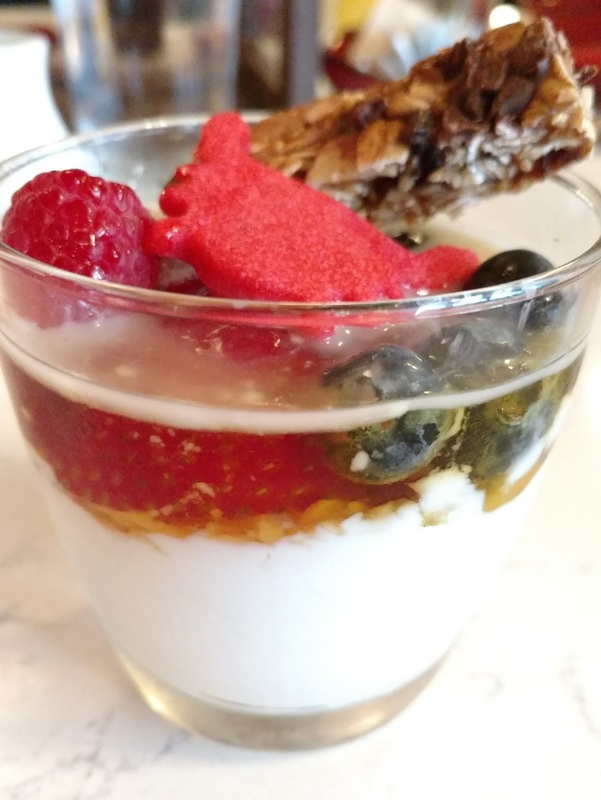 My server was gracious enough to add a tiara cookie to my yogurt...she KNEW! King Triton's Shipwreck al Forno- Calzone with Soppressata, Bacon, Sausage, Blend of Cheeses, and Sunday Gravy. 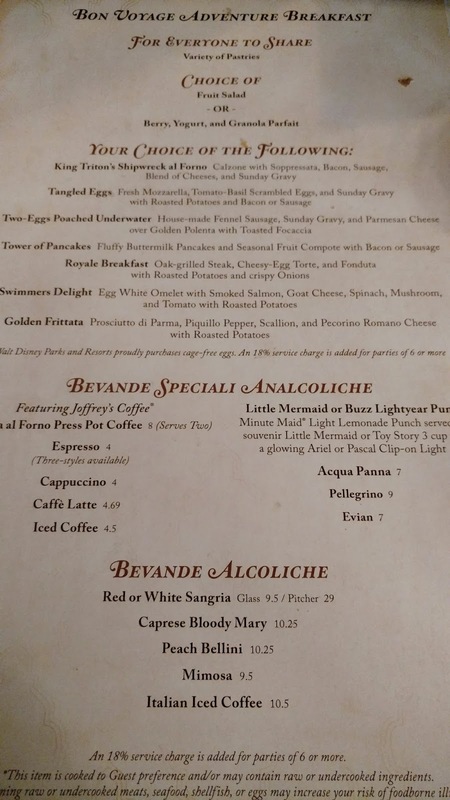 This is the most surprising breakfast/brunch option that I've found on Disney property, and it is BRILLIANT! 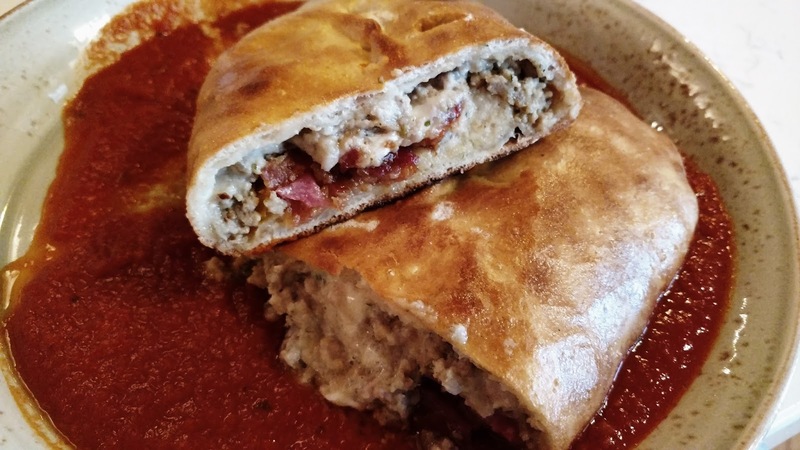 The dough is tender and just thick enough to hold all of the generous, meaty, cheesy, filling inside. 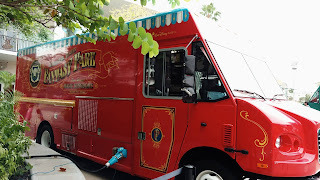 It wasn't as heavy as I expected, but it will definitely fill you up for a long day racing around the parks. 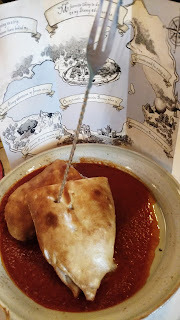 As an Italian girl, I appreciated the fresh flavor of the marinara sauce (Sunday gravy). Just enough for dipping. The Calzone is the clear winning choice here. Royale Breakfast- Oak-Grilled Steak, Cheesy Egg Torte, Asparagus, Crispy Onions, and Roasted Potatoes. 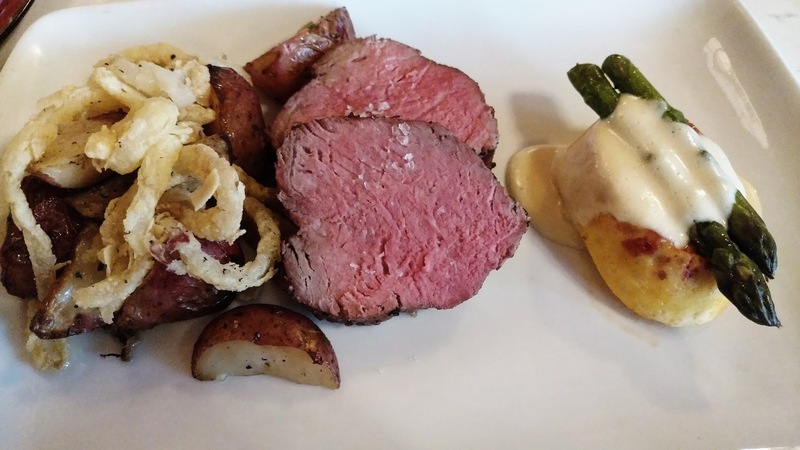 Steak and eggs are a classic breakfast combo taken to another level here. Nice oak-grilled char on the meat and those crisp bits of fried onions provide a hearty flavor combination. The egg torte has a similar texture to a quiche. 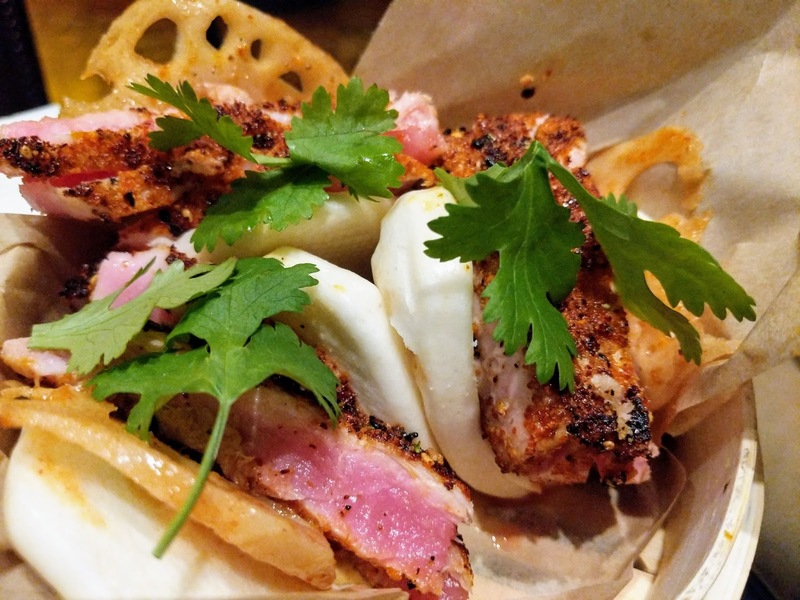 It's delicate and full of flavor. The asparagus were cooked perfectly. They still had a little crunch to them and make the whole breakfast "healthy" by providing a splash of green, right? Swimmers Delight- Egg White Omelet with Smoked Salmon, Goat Cheese, Spinach, Mushroom, and Tomato with Roasted Potatoes. 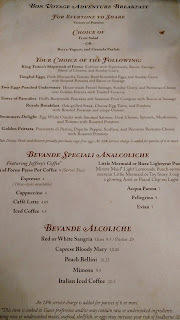 This breakfast seems to be offered as the "lighter" option (although not specified). While I can appreciate that attempt, it was overflowing with smoked salmon and goat cheese. That is NOT a complaint. However, I'm not sure that it creates what most would consider a "light" breakfast. 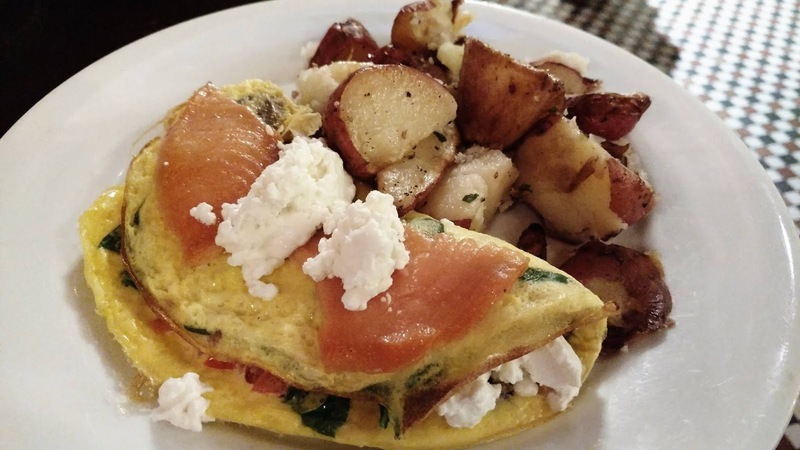 I ordered with whole eggs, not just whites (texture preference). It was generously filled and the vegetables were fresh. For those of you concerned that this is a small portion or too healthy and light, rest assured it is NOT. It's fantastic. I would list this as my second favorite menu option, next to the calzone. 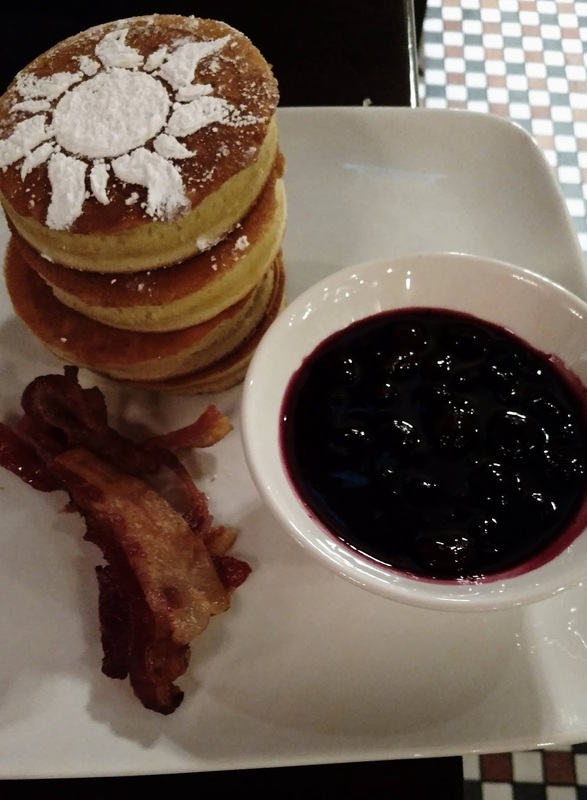 Tower of Pancakes- Fluffy Buttermilk Pancakes and Seasonal Fruit Compote with Bacon or Sausage. The tower is presented beautifully. I appreciate the Tangled movie theme. But, it's pancakes. Pretty pancakes, but just pancakes. The blueberry compote is wonderful. It is actual fruit, not just colored and artifically flavored syrup. If you are a pancake fan. These are a good choice. 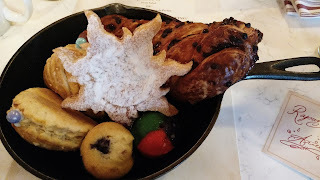 But, when provided a refillable platter of pastries with a meal, pancakes seem redundant. 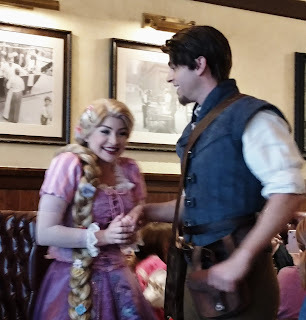 The Bon Voyage Adventure Breakfast includes several characters who Guests may not encounter very often: Rapunzel and Flynn Rider from Tangled, and Ariel and Prince Eric from The Little Mermaid. 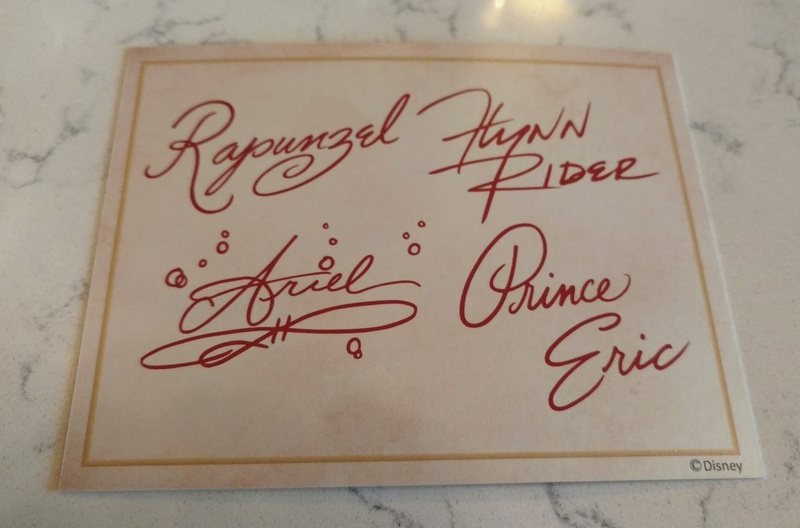 A character signature card is provided on the table, but characters will also sign autograph books. Please take note of the potential issue with taking photos that I described above. Be sure to check that you have good photos before they leave your table! 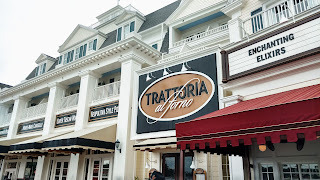 Trattoria Al Forno decor is best described as elegant with dark, rich woods and fabrics. 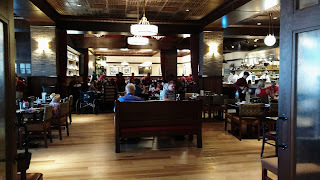 Seating includes booths, luxurious high back chairs, and more traditional low back tables and chairs. 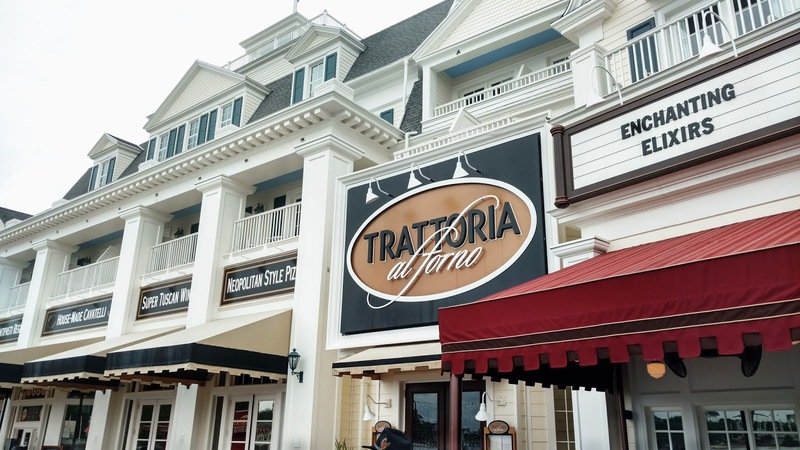 It has an open kitchen, attached bakery, and is a very lovely Italian-themed restaurant. 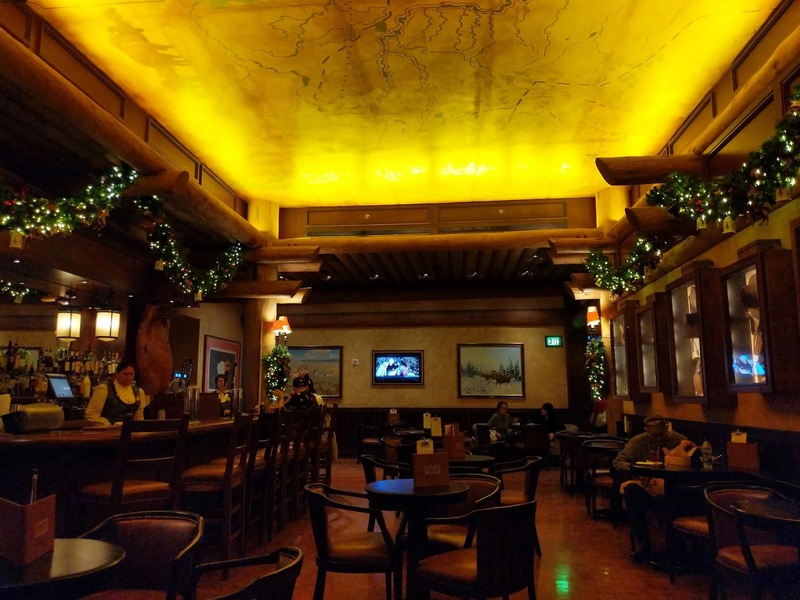 However, the dark lighting is not the best for photos with characters and there is no character-themed decor anywhere in the restaurant. 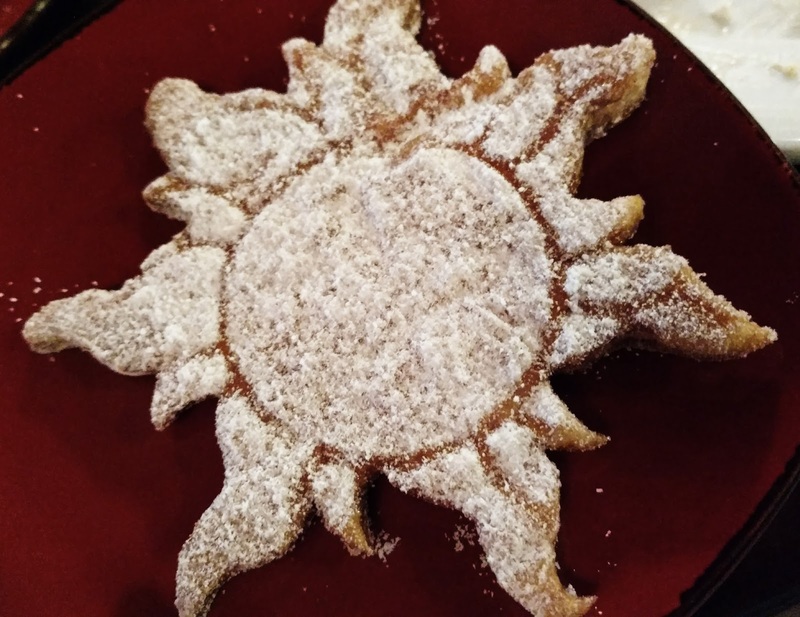 This is a breakfast only experience, not an exclusively character-dining location. 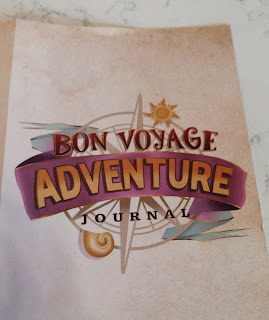 I would definitely recommend the Bon Voyage Adventure Character Breakfast at Trattoria Al Forno at Disney's Boardwalk Resort. 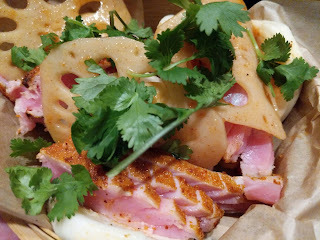 The food is delicious and fun. The characters are unique and excellent with their interactions. 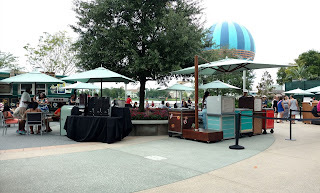 The theming of the food is well thought-out and makes up for the lack of whimsical decor. The price is also reasonable considering the experience. 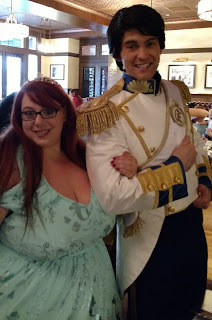 Just be aware of the potential limitations on character photos to save yourself from any tears and this is an excellent experience to add to any Disney vacation. Don't forget to SUBSCRIBE with the link on the top right! *The Boardwalk Resort and Bon Voyage Breakfast are handicapped accessible. 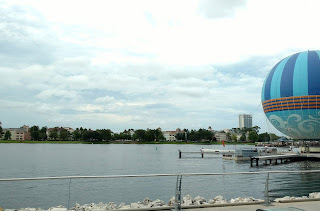 Handicapped accessible boats go there from both Hollywood Studios and the International Gateway entrance of Epcot. Walking paths also run from both parks to this location. 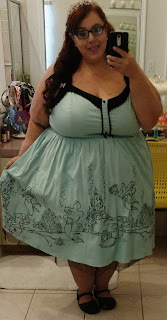 AdoreMe.com Luxury for ALL SIZES! Please Click for my referral link! B. B. Wolf's Sausage Co. Blows the House Down!! NEW! AbracadaBar Makes Magic at Disney's Boardwalk Resort! NEW!! 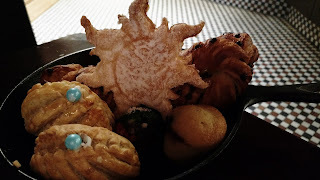 Gone Mad Wishes Dessert Party at Disney's Grand Floridian Resort!! Sponsored by Mary Morales Mad Hatter Adventures on Facebook.. Awesome Inc. theme. Theme images by sololos. Powered by Blogger.